There can be no dignity in life if there is no dignity in death. It is this philosophy that underlies the recent landmark judgment of the Supreme Court in allowing passive euthanasia after years of protracted legal battle by activists. They had fought for allowing terminally ill patients to have the right to determine whether to die peacefully and put an end to their pain, trauma and suffering. 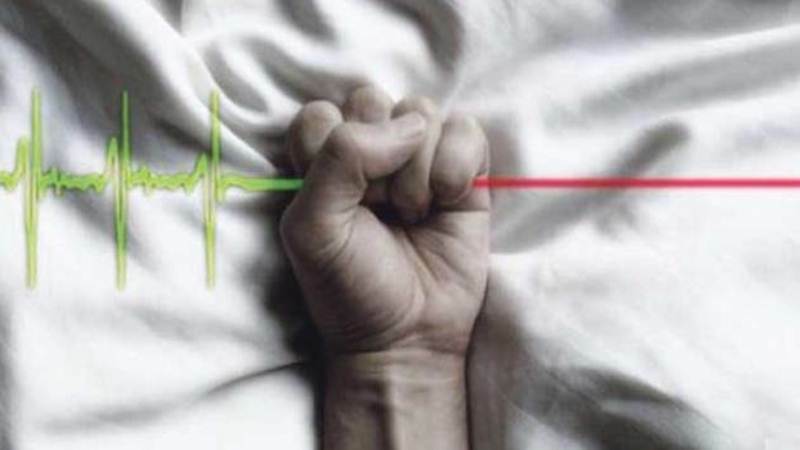 Passive euthanasia entails withdrawal of medical treatment to expedite death of a terminally ill patient. Active euthanasia, on the other hand, consists of using a lethal dose to end life and is illegal in India. The five-judge Constitution bench headed by Chief Justice Dipak Misra also permitted terminally-ill patients to draw out a “living will” if medical experts felt that there was no cure in a case and which would allow doctors to withdraw life-support systems under certain laid-out circumstances. A living will is a legal document where a patient can categorically give consent in advance to doctors and relatives to take off life support or end treatment in cases of terminal illness. The judgment laid down elaborate guidelines (see Box 1) to ensure that this would not be exploited by scheming relatives or vested interests. A system of checks and balances has been suggested to make it a transparent process. It is bound to place a huge burden on the treating physician and the hospital. These guidelines will be in force till the Parliament passes the necessary legislation. The stringent guidelines will now put pressure on both the treating physician and the hospital as they will have to follow elaborate procedures. The doctor will be responsible to ascertain how genuine and authentic the living will of the patient is. Once the doctor is convinced of the fact that there is really no cure, the doctor will act upon the will after briefing the close relatives and guardians of the patient on whether there are alternative methods available for treatment and the ultimate consequences of stopping treatment. But how will this new ruling pan out in India which has a host of social, ethical and cultural issues? There are no easy answers. But, one thing is certain. It is not going to be as easy as it sounds. Looking after the elderly, ensuring that they get healthcare, prolonging their life even if they are in a vegetative state are all realities that envelope our society. But this is just one part of the dilemma. The debate over euthanasia has been going on for many years among patients, relatives and the medical fraternity. It has been a long battle. It came into sharp focus in the case of Aruna Shanbaug, a 24-year-old nurse from Mumbai who was brutally raped and strangled by a hospital employee with a dog chain, cutting off blood supply to her brain. This happened in 1973 and she remained in coma for 42 years till her death. Pinki Virani, who wrote a book on her tragedy, filed a case seeking euthanasia to end her suffering. However, nurses at KEM Hospital who had diligently looked after Shanbaug, said they would not permit it as they were there to look after her. She ultimately died of a cardiac arrest. The 241st report of the Law Commission had said that passive euthanasia should be allowed with safeguards. As law-makers work on a proposed euthanasia law, they will have to ensure that the provision to free patients from misery is not misused by unscrupulous relatives in collusion with doctors. A doctor will only act on an advanced directive from a terminally ill patient to administer euthanasia after a jurisdictional judicial magistrate examines if the directive is genuine and authentic. A terminally ill patient may want treatment to be stopped, but it will only be done if the doctor treating the patient is convinced that the illness is not curable and there is no hope left. If the doctor is convinced that the instructions in the will need to be acted upon, he or she will brief the patient’s guardian or close relatives about the case in detail, the nature of illness, medical aid available and if any alternative treatment is available and the consequences of it. The hospital in which the patient has been admitted will constitute a medical board comprising the head of the department that is treating the patient along with experts from the fields of general medicine, cardiology, neurology, nephrology, psychiatry or oncology that have at least 20 years of experience in critical care. The High Court will also be free to constitute a similar independent board if it thinks fit to advise it. Members of the medical board constituted by the hospital would visit the patient to ascertain whether to certify withdrawal of treatment. Relatives of the patient will be around when this is done. Once this is done, the Board will inform the jurisdictional collector who would set up another medical board to examine it further. If this Board also agrees with the hospital’s Board, then it can endorse the certificate to carry out the instructions in the advance directive. The chairman of a board nominated by the collector will also convey its decision to the judicial magistrate before withdrawing medical treatment to the patient. How can a living will or what is known as advance medical directive be drafted and executed in a case of passive euthanasia? It can be executed by an adult with a sound and healthy mind where he or she is in a position to communicate, relate and comprehend the illness and treatment and its consequences. The will can be implemented only after it is well confirmed that the patient is terminally ill, is suffering from an illness that is incurable, has undergone prolonged treatment or is surviving on life support. It must clearly state when medical treatment could be withdrawn and why there is no point in continuing it. Must explain circumstances why medical treatment should be discontinued. All instructions must be clear and unambiguous. It should specify that the patient has understood the consequences of executing such a living will. It must be voluntary and not induced by any doctor or relative. The patient can revoke the instructions if desired. The patient must sign it in front of two independent witnesses. A jurisdictional first class magistrate designated by the concerned district judge, must also countersign the document. The witnesses and the magistrate also have to record that they are satisfied with the document that has been voluntarily executed without any coercion, inducement or compulsion. The document has to be preserved by the magistrate and the district court of the area. After a copy has been handed over to the relevant municipal office or panchayat, a competent official would be appointed to be the custodian of the document. One copy has to be given by the magistrate to the family doctor. The magistrate has to inform the patient’s family members about the document so that they are in the know. Ramesh Menon is an author, journalist and documentary film maker. He got the Ramnath Goenka Award for Excellence in Journalism for writing on pesticide poison spreading in India for indiatogether.org.